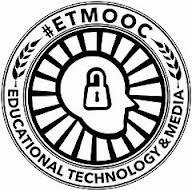 This entry was posted on Thursday, October 17th, 2013 at 8:10 pm and is filed under etmooc, personal learning networks mooc, technology, training. You can follow any responses to this entry through the RSS 2.0 feed. You can leave a response, or trackback from your own site. I really enjoyed reading this. The part that particularly captured my imagination was, “The learning rhizomes in our personal learning network now continue to move backward to capture parts of the extended conversation we hadn’t previously noted. . .” It has me flying off in all directions in a wonderful chase to truly internalize and think through the ramifications. The think-it-forward part was in my epistemological vocabulary, but not the the thinking-back part. Thanks Paul!